Social theory needs to be completely rethought in a world of digital media and social media platforms driven by data processes. 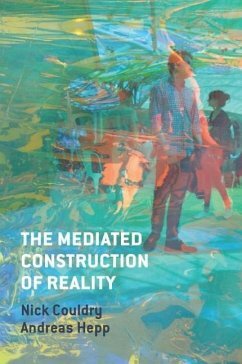 Fifty years after Berger and Luckmann published their classic text The Social Construction of Reality, two leading sociologists of media, Nick Couldry and Andreas Hepp, revisit the question of how social theory can understand the processes through which an everyday world is constructed in and through media. Drawing on Schütz, Elias and many other social and media theorists, they ask: what are the implications of digital media's profound involvement in those processes? Is the result a social world that is stable and liveable, or one that is increasingly unstable and unliveable?